A fine example of post truth and alternative facts appeared in the Guardian on Monday. Defining any diet that made a medical claim as a fad, the article consigned them all to the bin. See more The author writes cook books on baking packed with recipes for different ways to combine sugar, trans fats and refined flour. Perhaps health is not a priority. But it was a powerful demonstration of the degree of confusion around diets. So how did we get into this mess? Common suggestions include mixing up being slim and stylish with health or concentrating on weight loss to the exclusion of everything else, ideas which then get amplified in the echo chamber of social media. But I think there is a more fundamental reason. It’s the result of the system we use to tell us what treatments are effective and safe – Evidence Based Medicine (EBM). But it is not working well. It gives an easy ride to drugs – creating a lot of casualties in the process – but raises the bar impossibly high for diets and lifestyle approaches. Sorting it out would make such post-truthism just a bit harder. The background to the Guardian article was a BBC Horizon program on the Clean Eating diet which advocates cooking from scratch, using real rather than processed food,which had been inspiring others to do the same. See more What’s not to like? The charge, being investigated by biochemist Dr Giles Yeo, was that those involved in Clean Eating had become too involved with diets that lacked evidence. One recommends keeping your system on the alkaline side which means avoiding highly acidic foods such as grains. The other was going gluten free because of damage it can do to the guts. The response from doctors, who rarely have nutritional training, is that if you are pushing a diet it should have an evidence base. ‘Why don’t they just put up or shut up?’ is the attitude. The answer is that the EBM system that doctors rely on to sort good evidence from bad doesn’t actually do that. It is better described as a Fake Evidence Based Medicine (FEBM ) system and it has done wonders for the drug industry – massive rise in sales over the last decade – and for the big food companies. It also justifies the medical profession’s general refusal to take the link between food and health at all seriously –examples include hospital food and zero medical training for doctors. It is one of the reasons we are now in the grip of epidemic of chronic diseases rooted in diet and life style. The Horizon program provided a handy primer for the principles authentic EBM should follow. They include: Scientists should be detached and impartial in investigating and reporting on what they find. At the same time they should remain curious and open to new findings. When a treatment is found not to work it should be abandoned. Scientists should be able to replicated trials, so the data they gather has to be freely available to other researchers. My own view on EBM is similar to the line supposedly taken by Mahatma Gandhi when asked what he thought of Western Civilization. He said he thought it would be a very good idea. Lifestyle treatments have a problem gathering evidence because they inevitably fail the ‘gold standard’ of EBM – the Randomised Controlled Trial (RCT) which compares two groups, one which gets the treatment and the other doesn’t. Actually to be more precise, they almost never take the test. Most non-drug treatments have promising results from animal work plus a few short, small studies involving 10 or 20 people. Going for an RCT, however, is a big jump up. They involve hundreds of people, take years and cost millions. Diets and the like rarely earn the sums needed because unlike drugs they don’t have a patent that gives them exclusive marketing rights. So what we have is not EBM but what might also be called Commercially Based Medicine (CBM). Most RCTs are paid for by drug companies which are not interested in testing cheap, possibly effective but unpatentable treatments. Ignoring this distinction allows TV presenters like Yeo to turn to the camera and say triumphantly something like: ‘So that’s why I prefer to rely on treatments that have been proved by science.’ CBM makes for good TV but is not a sensible way of answering important questions about how different diets affect our health. Another failing of FEBM/CBM is that when it does test profitable drugs. the results don’t square with the fine EBM principles. The cholesterol lowering drug Ezetimibe, for example, was run through many RCTs to find if it cut the risk of cardiovascular disease. Not one showed clinical benefit. Instead of withdrawing it, however, the NHS spent 70 million a year on it. Making data collected in trials available to other researchers has been totally ignored as far as statins are concerned. None has seen the raw material that provides the evidence for giving statins to 12 million people in the UK alone. Imagine Dr Yeo’s outrage at if the evidence for a vitamin or diet was obtained in the same way. But even if FEBM keeps diet and non-drug treatments apparently evidence free, you might expect the British Dietetic Association to be an organised and vociferous lobby for a clear policy on diets. Instead the profession has painted itself into a corner by its close connections with the food industry, making another link to CBM. 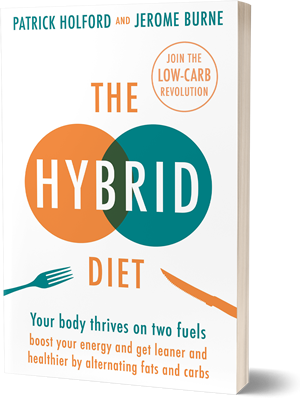 It is no accident that the low fat and high carbohydrate diet that dietitians have advocated for 40 years – one of the oddest fad diets of all – is very agreeable to the food industry. As if this wasn’t enough the rules of EBM mean that the patient’s voice is effectively excluded from discussion and debate. If you have been prescribed drugs your only responsibility is to take them – their benefit is after all evidence based. If you suffer side affects you may be told that you just need a stronger dose or that you are imagining them. Medical interest in investigating the extensive reports of side effects from statins or the addictive properties antidepressants, is minimal. A patient’s experience is, as far as EBM is concerned, is just an anecdote; without another RCT it doesn’t count for anything. Why is FEBM like neoliberal economics? Should you take part in a drug trial, with the risk of suffering serious side effects or getting no treatment at all, you will still have no right to the information you made it possible to gather. And your oncologist, should you be unlucky enough to have one, will be very unlikely to be remotely interested in a claim that changing your diet has really helped. All of which makes me think of the failure of another ideology – neo-liberal economics. It also promised much, relied on experts who supposedly understood its statistical complexities and failed to hear the complaints of those for whom the system wasn’t working until it was too late. Maybe soon the claim that what we eat has no effect on our metabolism and health won’t even be acceptable on an alternative fact list. I have a brother who was losing his memory because of statins. I have a diabetic friend who was becoming increasingly ill and medicated because he followed the ever downward path advocated by the NHS and astonishingly stupid dietitians. My brother’s memory has returned after he threw the statins away and my diabetic friend is now looking at a low-carb diet. It’s a scandal that they rely on me for advice that works and not on doctors, dietitians or the NHS. Has there ever been a bigger scandal? Decrying “big Pharma” and “big food”, the author’s point is suddenly very obvious. These are such useful phrases to enable easy discounting of biased inaccurate articles supposedly offering “truth” rather than “post-truth”. I’ll lump this in with post-truth instead thanks. Big pharma and big food are certainly widely used phrases but you give no idea of what it is you object to or cosider an untruth. Both are big and both have form dating back years of playing fast and lose with evidence. I have detailed some fairly appalling examples. Have you for example looked at the blatant misrepresentation of data in trials of psychotropic drugs? You asert that the article is biased and inaccurate but just saying that doesn’t make it so. Hahaha that is my line. I expect you have also noticed the huge amount of self-congratulatory tweeting following this programme, and said tweeters’ total inability to distinguish between “science” and “dogma”, and since the latter part of last year what appears to be an unholy alliance between dieticians and veg(etari)ans backed by the Foodlike Substance Manufacturing Industry, desperately fighting back against LCHF. I think people are on the wrong trail shouting about Big Food and the like. The low-fat diet recommendations didn’t start with food companies, they started with dishonest medical scientists keen to get power and influence. Bad science is the enemy, particularly dishonest science. Big Food just wants to make money; it would be as happy providing one diet as another. It’s been governments and dishonest or incompetent medical scientists who have built the bandwagons for the companies to board. It follows, therefore, that people should be wary about boarding a new generation of bandwagons. I agree that big food – if we can use that shorthand – didn’t start the low fat fall rolling. But once it was underway BF quite reasonably set out to supply the new market the guidelines had created and then defend it. So it made sense to fund the official nutritionist establishment so the official guidelines came to reflect advice which fitted the BF agenda – specifically that sugar is fine and part of a HBD (healthy balanced diet). Additionally they helped promote lack of exercise as a major reason why people are getting much fatter – exercise is v good but not for weight loss. They also supported the calorie is a calorie formulation as that supported their massive sales of processed foods notably the low fat ones that had to be packed with extra sugar. When brought into the tent of government policy making they were highly resistant to making changes to existing dietary regulations to cut down sugar or to accept that different food groups have different metabolic effects on the body, a position which doesn’t favour carbs, something which they had by now heavily invested in. BF would certainly be happy supplying any food – the problem with the low carb approach (for BF) is that if also pushes people away from processed foods especially the very lucrative ones such as cereals, sweets and carbonated drinks. As for bad science there is plenty of evidence that BF has funded a considerable number of dodgy trials especially involving sugar and trans fats (see Nina Teicholz’s book).Bad scientist are certainly in the picture but i would argue that many of them are working for Big Food. Not convinced by your attempt to give it clean hands. I don’t think Big Food could make anything like the same profit from Real Food as it does from grains and margarine. |Look out my back window and there are fields and fields of carbs – wheat, potatoes, sugar beet, peas, barley etc. and margarine (rapeseed) all tended by minimal manpower with 400hp tractors and 600hp combines – yet in some years the farmers are forced to sell BELOW the cost of production. Let’s not mention the sprays and the diesel consumption. In between are the small farms with their grass-fed beef and sheep and various vegetables. Low inputs mean this can still be profitable but mainly because there aren’t the middle-men sucking out the profits. This food pretty much goes from farm to shop. Free range pigs come somewhere in between. I think the real problem with EBM, is its complexity and opacity. That opens up all sorts of ways to bend the truth – for example, meta-studies can simply omit those studies that give the ‘wrong’ answer! Journalists simply can’t expose exactly how a conclusion was reached – it is too buried in detail. Another problem is the obsession with tiny gains. We need a cut-off – for example a minimum NNT below which a drug would not be used. If people knew the relevant NNT (depending on their risk of CVD) of a statin, I would guess very few would accept them, and fewer still would try to persevere if they encountered side effects! Where is the informed consent for all these minute benefit, unknwon side effect treatments? If they knew the facts you couldn’t fill a small room with consenting statin takers, but millions are prescribed them. This consent gulf is a scandal. People worried about their CVD risk can do no better than obtain a private CAC (Coronary artery Calcium) scan. It costs about the same as a car service, and is the global gold standard for CVD risk assessment, which is why, no doubt, you can only get one on the NHS if it is too late (when you have chest pains is not a good time to be thinking about risk). If your cholesterol is high and the CAC scan shows low calcium number, then it doesn’t matter. Nutritional Epidemiology – the science of pulling numbers out of your arse. Metastudies – pulling numbers out of your arse and then torturing them. Then studies come out with completely unequivocal results and get no media coverage at all. Bradford Hill must be spinning in his grave. You don’t have to become a nutritional biochemist or register dietician to select food wisely for yourself and your family.Nonetheless, it is important to understand the basic principles of nutritional science. Oxygen is necessary for energy production and brain function and in the prevention of disease and premature aging.Studies show that most adults and many children are oxygen -deficient because of lack of exercise, an unfit heart, poor posture, shallow breathing nutritional deficiency(including iron)deficiencies, stagnant air at home or work, muscle tension, and other factors. While you can remain technically alive with very little oxygen reaching your body cells you are far from being at your best. The only sure way is an integrated program like visit your local gym or whatever makes you motivated.Good nutrition is part of the answer; breathing exercise water is a forgotten nutrient.it is crucial to every function in the body temperature regulation, nerve impulse conduction circulation, metabolism, immune system, eliminate process, and all the rest.Leaders in adult education must examine long and carefully what society hopes to achieve. Typical that the repulsive baker writes for the Guardian. I have never known them to push anything other than the state-approved orthodoxy – in this instance that the rejection of cereal-based food must be a bad thing (especially when the BBC has a popular TV show based around bakery). Giving up wheat enabled me to lose 30 lbs and stop suffering from IBS. I’m pretty sure I have insulin resistance, so it saved me from diabetes too. I have been eating high fat low carb since I was diagnosed with diabetes type2, obesity and high Colesterol, six months ago. I’ve a normal HBA1C now, my cholesterol has improved triglycerides gone right down and Hdl vastly improved. My osteoarthritis, diverticulitis, IBS and psoriasis have also stopped giving me pain and I’ve lost almost three stone. I wasn’t greedy, I was following the NHS guidelines, if I carried on they would have killed me. A friend who was diagnosed at the same time as me who insists the NHS are right has had to go on statins as his blood is getting worse and despite losing weight, he still has diabetes! My neighbours who I’m helping are also benefiting.